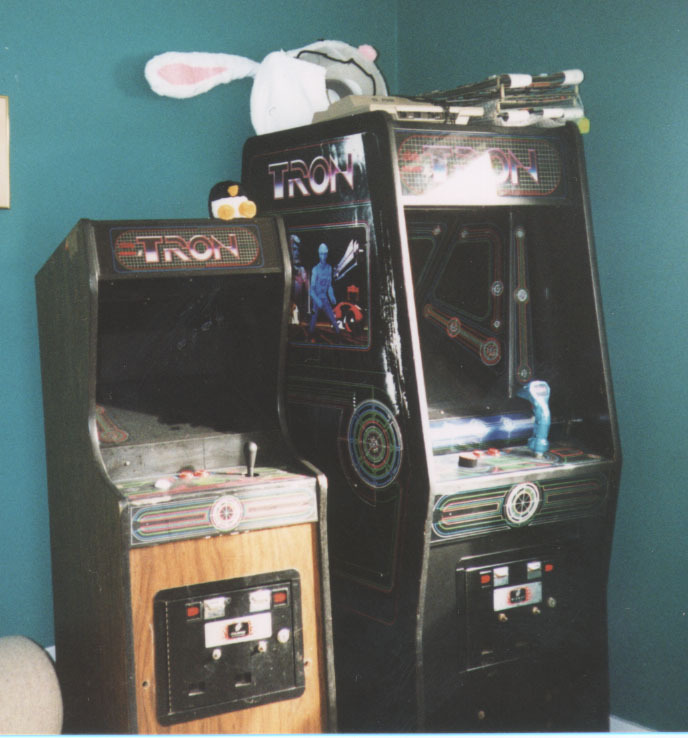 Here are my Tron machines. The fullsize tron is on the right, and the mini is to the left... The mini now contains Satan's Hollow. The mini has a regular arcade stick in it from a (failed) attempt to put pengo in that machine... Also in the picture are a few MCR2 boardsets, a small stuffed penguin, and the head from my halloween costume, Max, from the Sam & Max comics. There's also an Atari 400 atop the fullsize Tron. 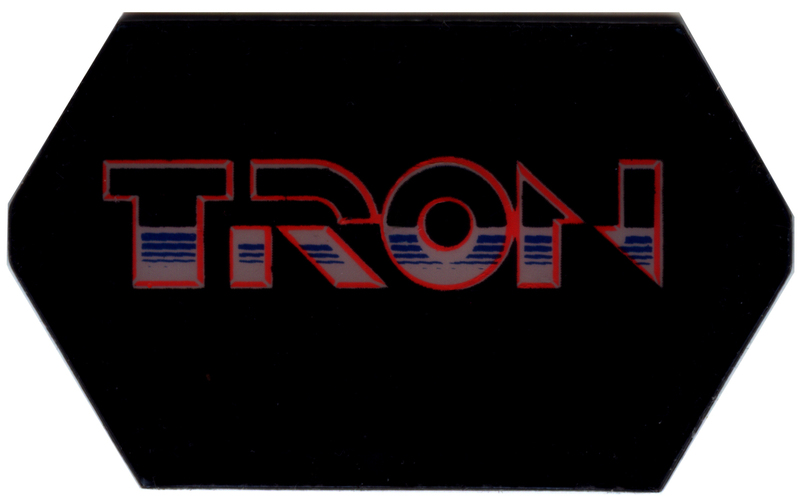 Here is the long awaited .jpg of the joystick insert for my TRON arcade machine. It was scanned in at 600dpi, then retouched a little. Corel Paint and Adobe Photoshop were used. Just print it out on a Dye Sublimation printer at 600dpi, sandwich it between some acetate or very thin plexiglass, and call it good! You might need to adjust the brightness and contrast of it to get it to print properly..
All graphics on this page were originally generated by the "KEM" and "MAME" emulators, and slightly mangled in Adobe Photoshop. All photographs were taken by myself with an Olympus XA 35mm camera (thanks dad! ), and mangled in Photoshop as well. What do you think? Too much red, yellow and blue? Grid Bugs died to create this page.